Hey guys its been awhile since I posted and I know that its Blogtober. But college has been so stressful this week and I needed to prioritize. I have papers after papers and a final coming up so hopefully after this week I can finally get back into the swing of things. 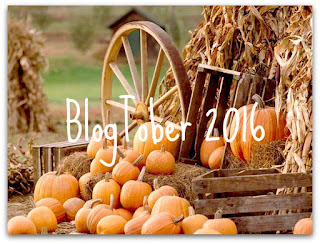 So without further ado here is Blogtober 13. My favorite fall recipe would have to be pumpkin pie or pumpkin cheesecake. The cheesecake factory has the best pumpkin cheesecake and hopefully this year I will be able to recreate it. Love The Cheesecake Factory's Pumpkin Cheesecake? 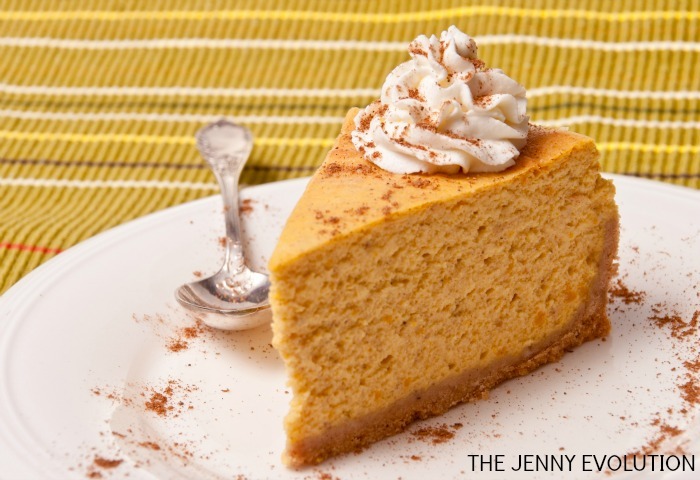 Then you'll love this Pecan-Topped Pumpkin Cheesecake Copycat Recipe! Preheat oven to 325 degrees Fahrenheit with rack in the center position. Using some of the butter, coat a 10-inch springform pan. In a bowl, mix the rest of the butter with the graham cracker crumbs, ¼ cup of the sugar and a pinch of salt. Packing it tightly and evenly, press the crumb mixture into the bottom and up the sides of the pan. Bake for 15 to 20 minutes, until golden brown. After cooling on a rack, wrap the outside of the springform pan with aluminum foil. Place the wrapped pan into a roasting pan. In a medium pot, bring water to a boil. While waiting for water to boil, using a mixer; beat the cream cheese until smooth. Add the rest of the sugar and beat until just light. Scrape down bowl sides and beaters as needed. Whip in the sour cream. Add the pumpkin, eggs, vanilla, 1 teaspoon salt and the spices. Whip until just mixed and once done, pour into the cooled crust. Without pulling the rack out, gently place the roasting pan in the oven. Pour the boiling water into the roasting pan until it comes about halfway up the side of the springform pan. Bake the cake about 1 hour 45 minutes, or until the outside of the cheesecake sets but the center is still loose. Turning off the oven; open the door briefly to let out some heat. After leaving the cheesecake in the oven for 1 more hour, carefully remove the springform pan from the roasting pan. Cool on a rack for at least an hour. Run a knife around the edges to loosen it somewhat, and then cover pan and place in refrigerator for at least 8 hours or even overnight. minutes before serving, bring the cheesecake to room temperature. Unlock and remove the springform ring. Place a spoonful of the whipped cream on each slice. Top with a sprinkle of the toasted pecans.